This design-forward educational centre in Batu, East Jawa, opened its doors in March 2013 and was built using recycled shipping containers to create unique libraries and a free clinic for the surrounding disadvantaged community. 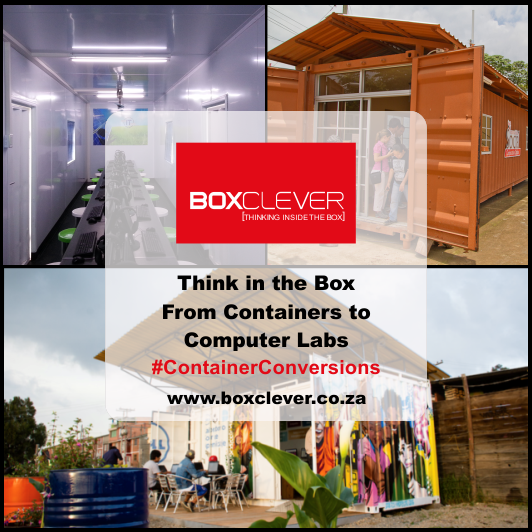 The end result – eight colourful repurposed containers, each with their own purpose, changing lives and transforming communities! The bright and cheerful red container houses an assortment of science and technology books and acts as a shady canopy for the reading terrace. The blue container was allotted to popular books and entertainment, the green, a lobby, the yellow, a section for women’s reading. This library perfectly illustrates how sustainable and recyclable shipping containers really are! This unique mobile library is fashioned from a room fixed to a trailer and an overhead shipping container. 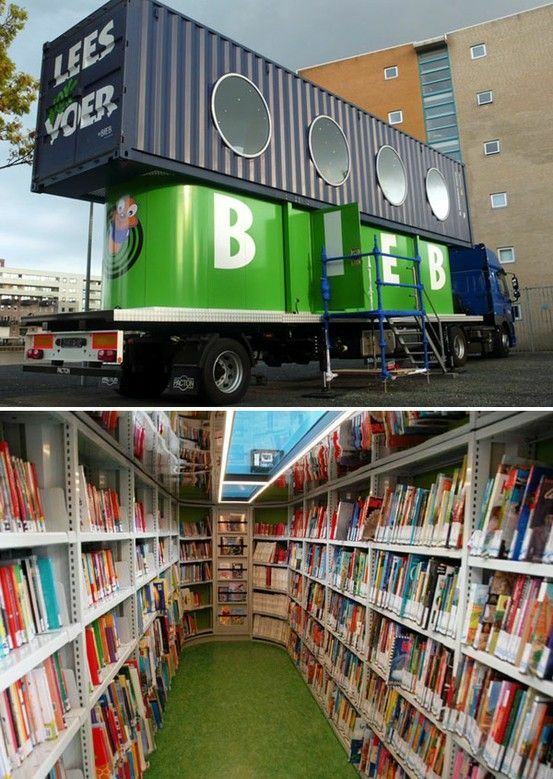 The travelling library, or Uitschuif Biebbus, travels to small villages in Amsterdam and, due to narrow roads, parks at locations near one of twenty local primary schools for the day before heading onto the next. The library encourages youngsters to enter a futuristic setting whilst enjoying their favourite books. The bottom room houses exciting books whilst the overhead pop-up container with transparent floor provides children with a place to relax, read, browse the internet, and escape to a magical world! 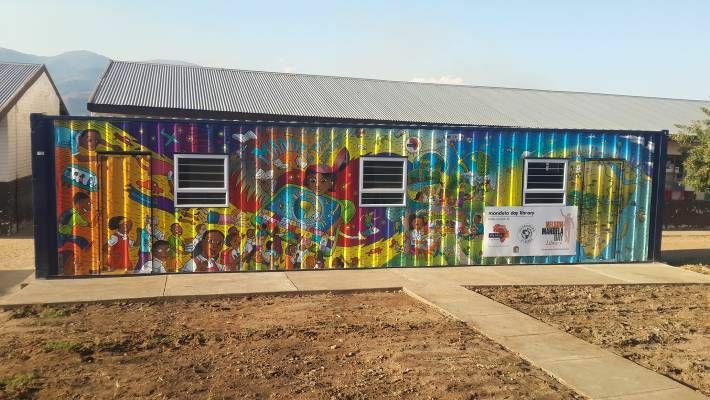 Inspired by Nelson Mandela’s love of reading, various corporates, individuals, and organisations have come together to supply libraries made from shipping containers to disadvantaged schools throughout South Africa. Thanks to generous donors, the recycled structures are equipped with books and educational equipment to encourage reading, improve education, and get locals involved as acting volunteer librarians. 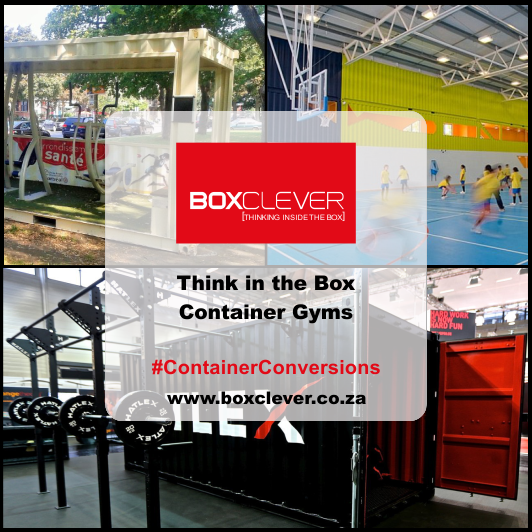 Used shipping containers, rather than traditional brick-and-mortar buildings, are ideal as they’re more affordable and, if necessary, can be easily transported to other schools. 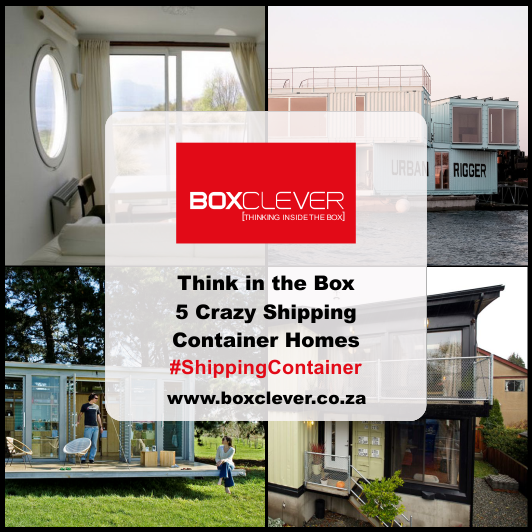 Boxclever is inspired by the many amazing uses of shipping containers. 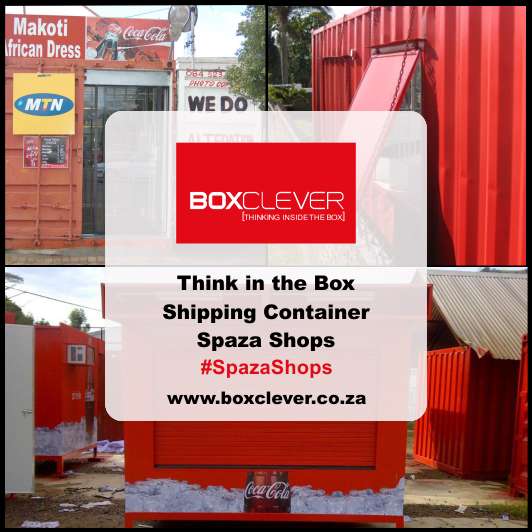 We have a range of converted containers for sale, or rental and are experienced in providing container solutions for government, municipalities, NGO’s, and companies. Inspired by the many amazing applications, Our team is ready to design a container solution for you so contact us today!